PrestaShop is a free e-Commerce solution that allows you to sell your products online. 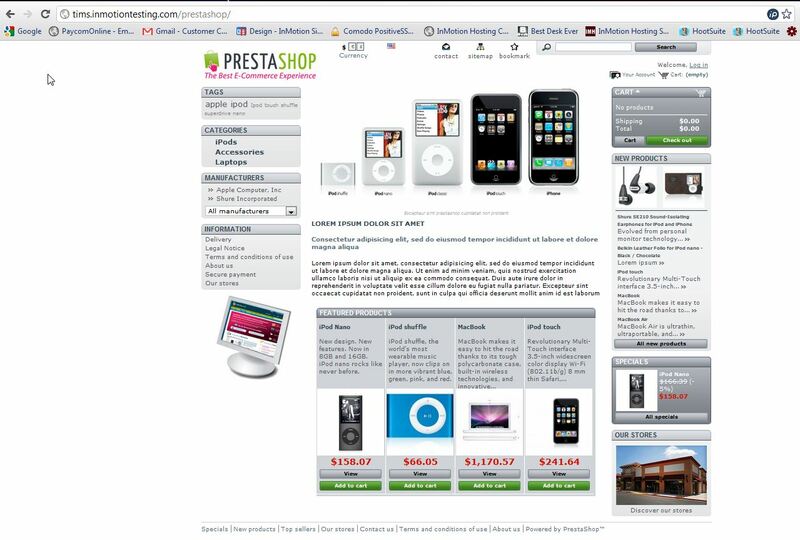 Since Prestashop is accessed via a web browser, you can manage your store from any computer that has internet access. For more information on PrestaShop, please visit their website. Create a database for your store using cpanel. Download the PrestaShop e-Commerce solution software. Unzip the PrestaShop ZIP archive anywhere on your hard drive on your local computer. Upload the contents (not the folder itself) of the /prestashop folder to the root directory (e.g., http://www.mysite.com/) of your hosting server via FTP. You can also upload the files to a subdirectory you’ve created (e.g., http://www.mysite.com/prestashop/) if you wish to keep your root homepage separate. 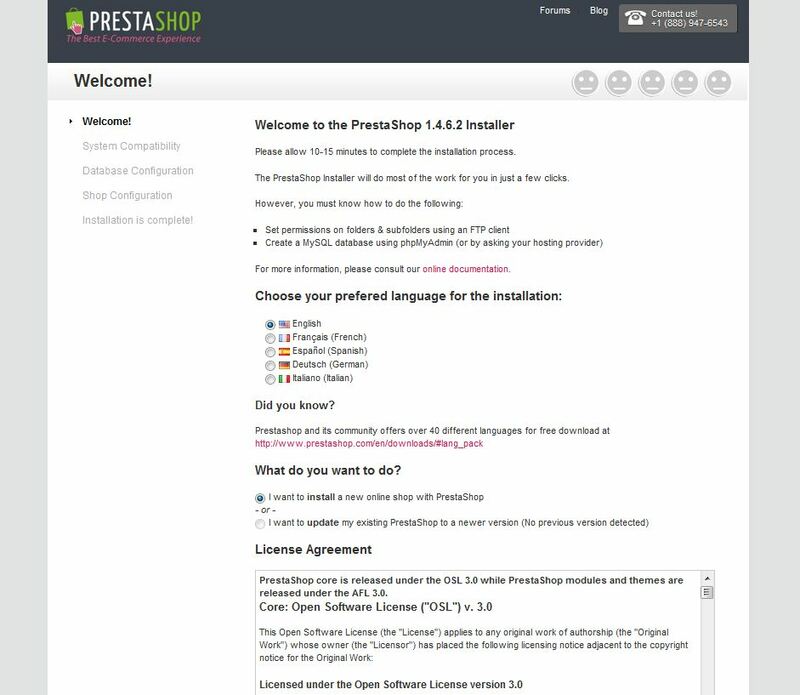 In a Web browser, launch the Installer by adding install to your shop’s URL (e.g., http://www.mysite.com/prestashop/install). There's quite a few steps during the installation process during Step #6. Upon completing the PrestaShop Installer wizard, use your FTP software to navigate to your /prestashop folder. There, delete the /install folder and rename the /admin folder (for example, /admin123 or, even better, /xyz789). This is for security reasons. If later you forget the name you gave the /admin folder, you can confirm its name via your FTP browser. Now, visit your website to verify that PrestaShop has installed correctly.